Richard read Law at Manchester University and was called to the Bar by Inner Temple Inn in 1990. He practises in Chancery, Commercial and Employment Law, with a particular interest in the overlaps between those areas. Richard is accredited for Direct Public Access instructions. 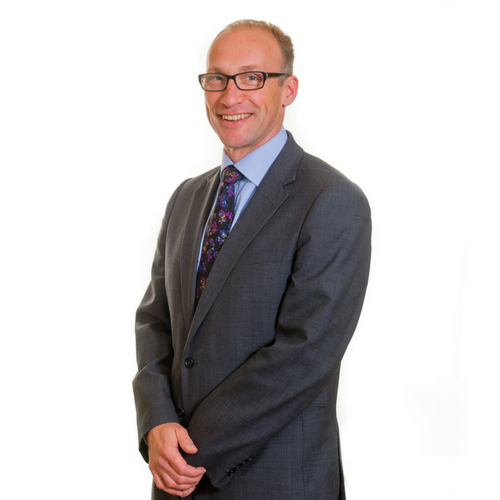 Richard practises in all the main commercial areas but has a particular interest in IP and copyright litigation. Richard has been involved in a number of passing-off actions, obtaining interim injunctions for clients. Recently, Richard has been involved in litigation relating to a freezing order against a Belize Company and its UK director. Representing both Claimants and Defendants in general IP litigation and in the IPEC in London. Advising on Licencing Agreements and other non-contentious drafting. EMSC v Bowers: (case managed by HHJ Hacon at the IPEC). Claim for breach of confidentiality in relation to a novel design of a Power Transformer system seeking damages and injunctive relief. Represented Defendant Company and Directors (sued personally). Claim ultimately settled on withdrawal by the Claimant following service of Defence. Complicated issues relating to the nature of design disclosed in preliminary discussions on joint venture, extent of duty of implied and express confidentiality. Claimant represented by Leading Counsel and Squire Paton Boggs. Claim against Local Authority: Claim brought by author for breach of copyright of contents of guided walking book. Claim involved issues relating to whole/substantial copying. Proceeding in IPEC. Teams Past Limited: Claim relating to the rights to use and to licence collectable sporting photographs heard in the High Court Manchester Chancery Division. Client had obtained a number of early 20th Century photographs and had prepared them for sale. Other traders copying the photographs and proceedings taken to prevent them from selling the same, and to disgorge profits. Richard has wide experience in all contentions and non-contentious probate work, land disputes (including easements and boundary disputes) and insolvency work. Ali Oun v Ishfaq Ahmed (2008) 13 EG 149 (CS): Rectification (appeal from an Adjudicator). UCB Corporate Services v Kohli  All ER (Comm) 422: Limitation periods in Guarantees and acknowledgement. Richard has considerable experience in the “commercial” side of Employment Law, especially the enforcement and challenging of Restrictive Covenants and TUPE issues. Richard has also appeared in a number of lengthy tribunals representing public bodies. Richard is accredited by the Bar Council to undertake direct public access work and has advised and represented a significant number of SMEs on this basis. Bird v Sylvester (2008) IRLR 232 (2008) ICR 208 (CA): Leading case on victimisation claims against professional advisors. Recently represented former managing director suing company taken over by large, well-known, call centre business. Dismissal for gross misconduct found unfair. Successfully represented senior council official dismissed for disagreeing with council members. Successfully represented teacher suing well-known private school for unfair dismissal. Successfully represented legal executive suing firm of solicitors and senior partner for sexual discrimination. Successfully represented warehouse worker in claim for sexual harassment resulting in award in excess of £25,000. Richard has wide experience in all contentions and non-contentious probate work, and land disputes (including easements and boundary disputes). Barclays Bank v O’Brien: Case involving mother-in-law and son-in-law. Kirkman v Skipton Building Society (CA): Setting aside statutory demands. Green & Green v Wheatley CA LTL 19/5/99 (CA): Adverse Possession. Richard is accredited to receive instructions directly from members of the public through the Public Access Scheme.